In 1979, the Royal Canadian Mint became one of the first government mints to begin issuing modern bullion coins. Fittingly, their preeminent series featured and was named for one of the most recognizable symbols of Canada, the sugar maple leaf. While the design concept could not have been simpler, the execution of it continues to enamor collectors throughout the world, with the intricate design and outstanding attention to detail bringing the coin to life right in the holder’s hand. 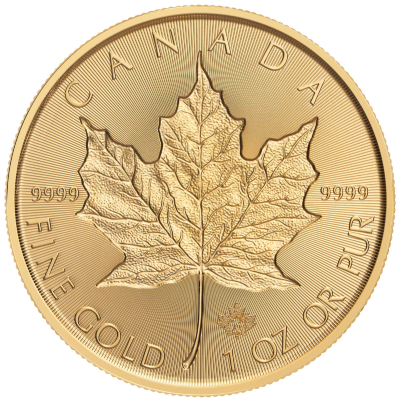 Now, the mint is celebrating the treasured coin’s 40th anniversary with the first ever bullion Incuse Gold Maple Leaf. The new coin follows the success of the bullion Incuse Silver Maple Leaf, which was issued last year to mark the 30th anniversary of that silver series. The Gold Maple Leaf’s history has been fascinating since its inception. Prior to 1979, the only government mint annually issuing gold bullion coins was the South African Mint. Although coins from that mint, especially the Gold Krugerrand, are extremely popular today, they were not so at the time. In fact, the coins were extremely difficult for people in most parts of the world to get due to the large-scale boycotts of South Africa due to apartheid. In that sense, the Gold Maple Leaf, not the Krugerrand, could arguably be considered the grandfather of modern bullion coins. 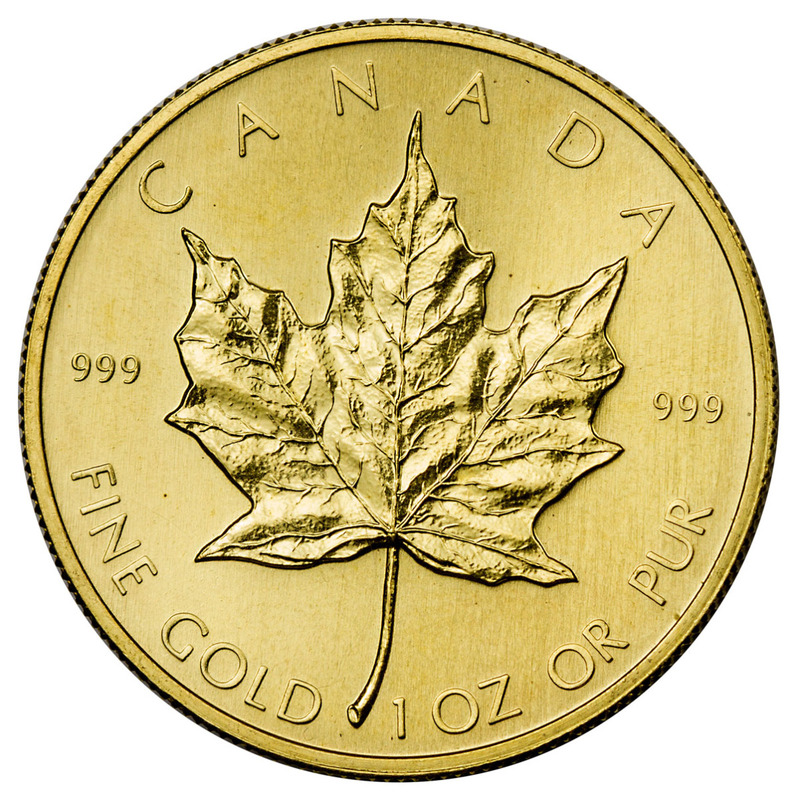 Over the course of its four decades, the bullion version of the Gold Maple Leaf has gone through several changes and developments. For nearly four years, the coin was struck from .999 fine gold, and only a one-ounce coin was issued. This limited access to the series, as many of those who wished to own coins could not afford them. In November of 1982, the Royal Canadian Mint changed the purity of the coins from .999 to .9999, which it remains today, and also began issuing the first ever fractional pieces, ¼ oz and 1/10 oz. This vastly expanded the world of potential buyers. A ½ oz piece was added to the series in 1986, and a 1/20 oz piece became part of the annual issues in 1993. In 1994, a 1/15 oz piece was issued for just one year to mark the coin’s 15th anniversary, and a 1 g coin has been issued since 2014. While the reverse has remained constant throughout the series, the obverse design has undergone two significant changes. Its first two designs came from the British Royal Mint. Arnold Manchin designed the first portrait, which depicted Queen Elizabeth II wearing the Girls of Great Britain and Ireland tiara. The monarch was 39 in the image, which featured from 1979-1989. In 1990, a new portrait designed by Raphael Maklouf. In this design, Elizabeth II was 64 years old, and the tiara of the previous coin was replaced by the King George IV State Diadem. In 2005, Maklouf’s design gave way to the first original portrait by a Canadian designer. Striking a note of Canadian independence, Susanna Blunt broke from long standing tradition and depicted the Queen with neither a crown nor a tiara. That design continues to grace the obverse today. The coin’s forty-year run has seen the rise of the internet, which changed markets completely. Buyers, especially those on the secondary market, are more vulnerable than ever to counterfeiters. To protect its buyers and secure the Gold Maple Leaf’s place among the world’s favorite bullion coins, the Royal Canadian Mint introduced a pair of security features that make the coin extremely difficult to counterfeit in 2013 and 2015. The first is a maple leaf privy mark in which the final two numerals in the date are laser-micro-engraved. The second is radial lines, which are on the background of both faces of the coin. 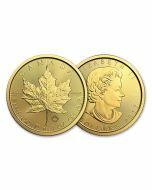 These features make the Gold Maple Leaf one of the most popular bullion coins among those who are concerned about security. The Gold Maple Leaf’s rich history also includes several unique issues. Perhaps the most significant of these was a six-piece bi-metallic set issued to mark the coin’s 25th anniversary. The set consisted of coins ranging from 1/25 oz to 1 oz. Each piece had a gold core that was encircled by a silver ring. Other significant issues include a handful of five-nine pieces. The first among them was an experimental issue in 2005, of which fewer than 400 pieces survive. Two years later, the mint issued five one million dollar coins, which weighed in at 100 kg. One of those coins was stolen from a museum in Germany in 2017. Colorized, hologram, Olympic, privy Gold Maple Leafs marks have also been issued at various times throughout the series. 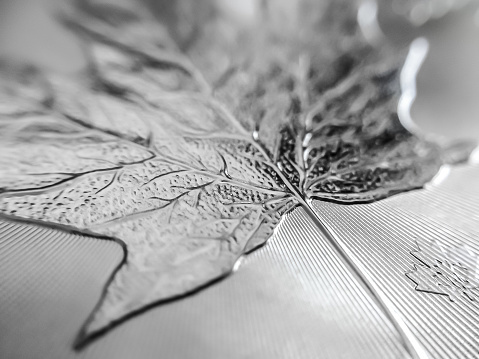 The Royal Canadian Mint released the first ever silver incuse maple design in 2018 to honor the 40th anniversary of the Silver Maple Leaf Series that occurred that same year. The first incuse silver Maple sold out, and so the Mint is continuing the popular silver incuse series this year with a 2019 release. 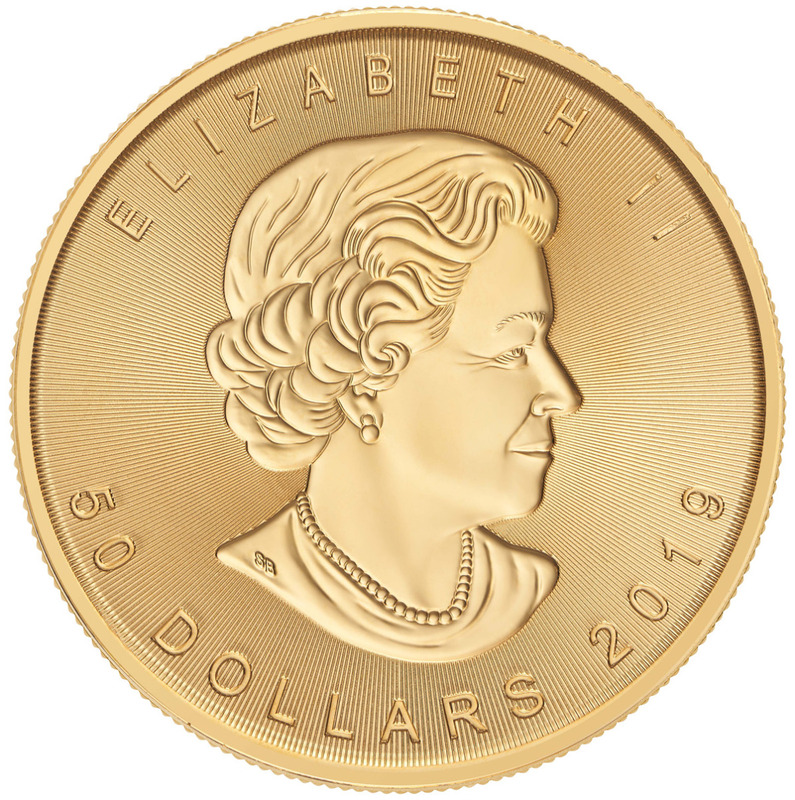 As mentioned above, perhaps most exciting, is the Mint’s release of their first ever incuse gold bullion maple to mark the 40th anniversary of the Gold Maple Series. 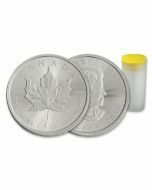 With a limited mintage of just 10,000 pieces and a unique twist on a beloved design, this release is sure to catch the eye of Maple enthusiasts and broader bullion collectors alike. 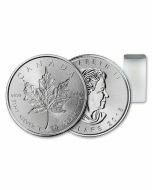 The coin boasts a double incused design, that features incused devices on both sides of the coin; the effigy of the Queen on the obverse as well as the iconic sugar maple leaf design on the reverse, a stunning re-working of a classic design. The Gold Maple Leaf continues to attract new collectors forty years after it was first issued. The coin captivates those who hold it, putting them in awe of its beauty and remarkable attention to detail. Now, collectors have the opportunity to admire its mesmerizing designs in a new way with the first ever incuse version of the coin. Whether you have a large collection of Gold Maple Leafs or you are considering buying your first, it would be a mistake to miss out on an issue that is sure to be treasured by collectors for decades, if not longer.